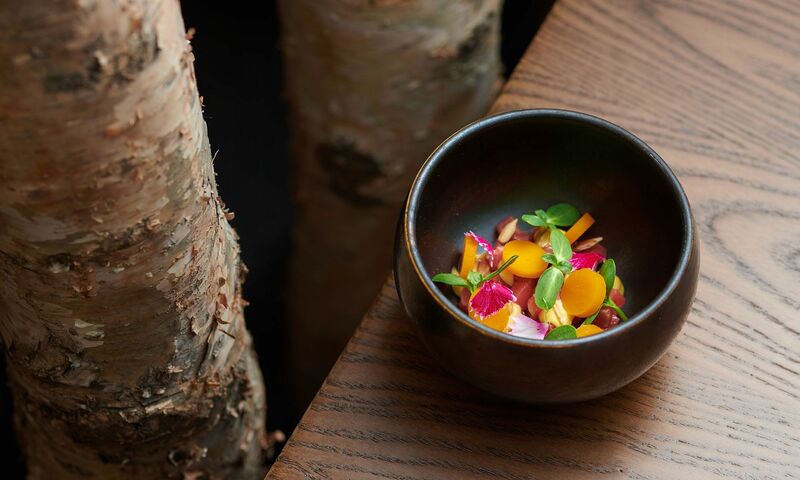 Celebrating fresh seasonal produce and natural wines, Roganic, Simon Rogan’s second establishment opens this month. Simon Rogan made waves last year when he opened Aulis in Hong Kong, his first international outpost. The chef behind Cumbria’s L’Enclume and Roganic in London’s Marylebone neighbourhood, continues to explore the potential of fresh ingredients such as seasonal produce and meats prepared in ways tailored to the local palate with his second restaurant in the city. The British chef will be presenting a number of menus at Roganic with a new vision focused on Asian ingredients. Guests can indulge in a number of seasonal signatures such as pumpkin with bay leaf and nashi, sea urchin and caviar, grilled salad with truffle and Westcombe cheese, as well as cod and black garlic. The Roganic dining experience will be presented in the form of a short taster menu consisting of eight courses, priced at HK$680 per person, or a longer taster menu with ten courses at HK$980 per person. A lunch option is available where guests can sample an appetiser, signature main and dessert at HK$280 per person. The establishment is also launching Rogan’s first dessert bar experience in the Hong Kong outposts, where guests can order desserts a la carte at HK$108 each or in a dessert tasting menu for five desserts at HK$480 per person.